Waterproof Touchscreen Enclosure | Stainless Steel Computer Protection with TouchScreen | Armagard Ltd. 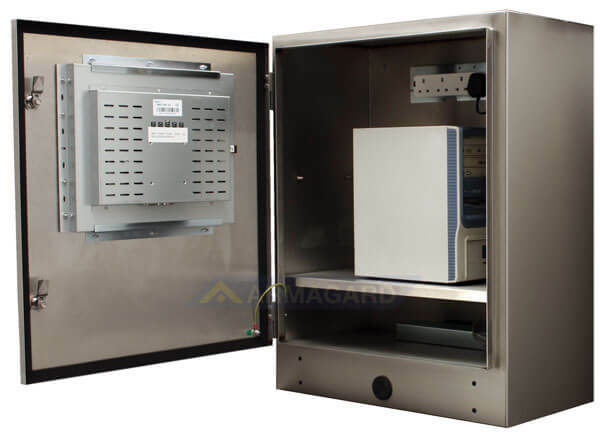 Sealed to IP 65 and manufactured from food grade stainless steel, the SENC 750 Waterproof Touchscreen enclosure is designed to protect desktop or tower PC's in clean room or wash down environments. The integrated 17" five wire resistive touch screen is the most accurate and reliable touchscreen technology available. The resistive screen can be activated by a gloved hand allowing the user immediate screen interaction without interupting workflow to remove a glove. 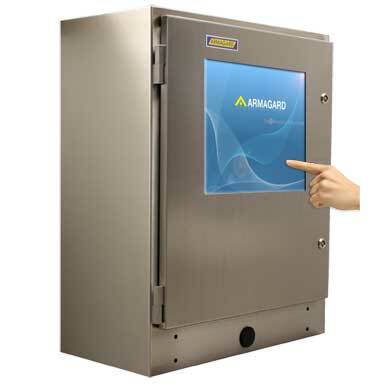 The SENC-750 Waterproof Touchscreen Enclosure is a space saving waterproof enclosure used by leading food manufacturers across Europe. The stainless steel construction ensures protection against jet washing, dust, oil, grease and physical impact. The 17" touch screen is fully waterproof and resistant to airborne debris. Stainless Steel Quarter Turn Locks Maintain a tight waterproof seal around the enclosure door. Other lock options are available for installation in areas where abuse or theft is a concern. For full specifications & prices - Contact Us Now! 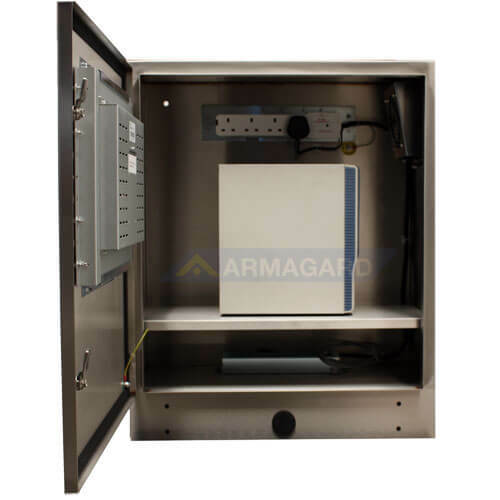 All Armagard enclosures are constructed according to European IP and International NEMA standards, ensuring protection from liquids and particulates.